A local shop on Market Street, Card Carrying Books and Gifts, decided to do a diaper drive for a one-week period. 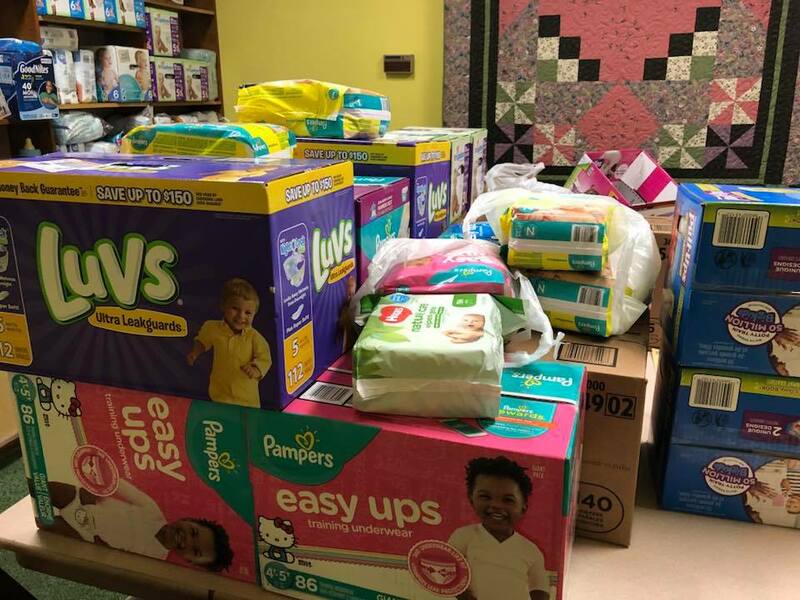 They collected diapers that far exceeded their goal of 23 packages (because we are in the 23rd Congressional District,) and when a reporter from WENY saw the sign outside of their door, she called them and was put in touch with us. THAT resulted in a TV segment highlighting the work of our diaper bank, and a wide social media reach. As of Sunday morning, (7/29,) almost 2000 people had seen the actual video clip from WENY on OUR site, and another 1700 or so had seen the thank you that we had posted to the Card Carrying store. This obviously means a good number of people now know about the Baby Bank, and hopefully that will result in more diaper drives, more contributions to our cause, and more use by those whose babies need us!